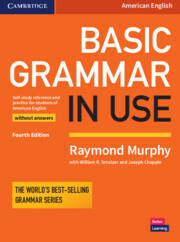 Basic Grammar in Use Fourth Edition is an American English reference and practice book for beginner level learners (A1-B1). With simple explanations, clear examples, and easy to understand exercises, it is perfect for students who need extra help with English grammar. This version does not include an answer key for the exercises, so is ideal for use in the classroom.